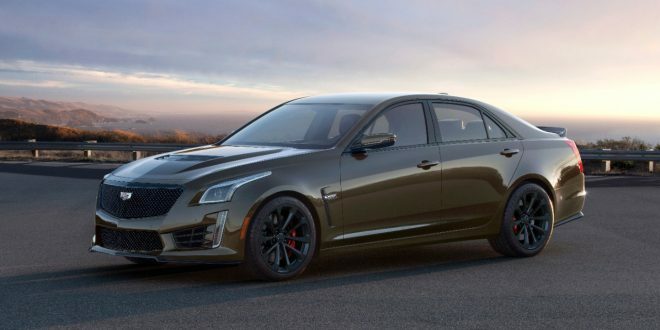 Cadillac first rolled out its V-Series performance sub-brand back in 2004 with the original CTS-V. Now, to celebrate the 15 year mark, the luxury brand is rolling out two special edition ATS-V and CTS-V models. Starting the first week of November, prospective V-Series buyers will be able to order the 2019 ATS-V or CTS-V in Pedestal Edition format. Cadillac is only making 300 copies of each Pedestal Edition model for North America and the Middle East markets, meaning they will be fairly tough to come by. Pedestal Edition enables a unique Bronze Sand Metallic exterior hue along with Cadillac’s typically optional carbon fiber exterior package. Inside, the Pedestal cars offer a unique color palette and badging. Cadillac is asking for $77,090 for the ATS-V Pedestal Edition, while the CTS-V Pedestal Edition will come in at $102,590. Neither car has any changes to their base powertrain, meaning the ATS-V is powered by a twin-turbocharged 3.6-liter V-6 with 464 horsepower and 445 pound-feet of torque. The CTS-V remains powered by its beastly supercharged 6.2-liter V-8 with 640 horsepower and 630 pound-feet of torque. Not only are these two cars celebrating 15 years of V-Series, but they’re also serving as the capstone to the ATS and CTS models. Both models will be ending production soon, only to be replaced by the upcoming CT4 and CT5; both of which are slated to offer V-Series variants. While the ATS-V and CTS-V may be on their way out, the V-Series label will live on with the 2019 CT6-V. This is a much clearer posting than over at GMInsideNews. I certainly love bronze as a exterior color.